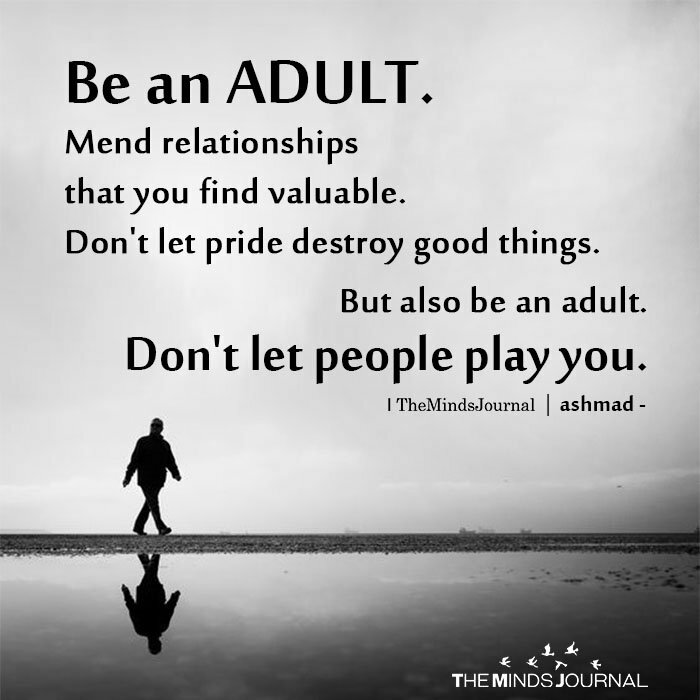 Be an adult. Mend relationships that you find valuable. Don’t let pride destroy good things. But also be an adult. Don’t let people play you.